If you’ve ever thought about making and selling food products, but don’t know where to start? Start with this FREE workshop that will provide information and strategies that will get you launched to developing a solid business plan, financing your concept, researching market conditions, deciding on best market channels and setting prices for products, point-of-sale strategies and marketing/distribution considerations. This workshop will cover all the info you need to know on your path to becoming a food entrepreneur! 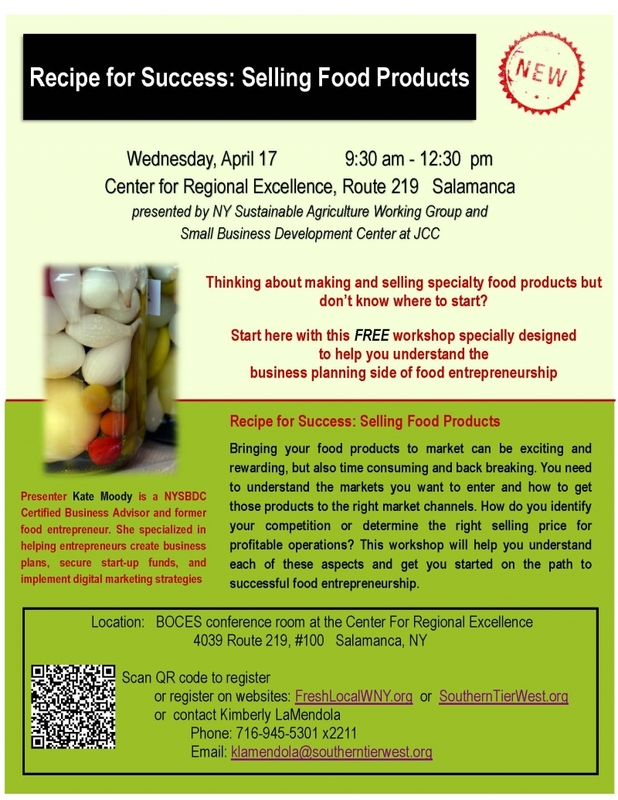 All participants will receive a free copy of “Recipe for Success: Selling Food Products”, a business planning guide published by the NY Small Business Development Center. Recipe for Success: Selling Food Products - Free Workshop!